The most important thing to have an internet connection of a good speed in your home is an opportunity to know about yourself and the world you are being placed at. So, I scrolled, refreshed and got into something that I wanted to know about. As reports of market downfall and share demolishment is on the high, I actually wanted to know a little more about a trade city that has such an impact to Nepal’s fluctuating economy. “Birgunj” also known as a Gateway of Nepal among the Indian tourist connecting from the Southern border of Bihar in India is actually not just limited in the trade relationship with the power house of Asia. The cultural exchange via Raxaul, a sub-divisional town in Bihar is an example of its closeness to the mighty Indian geography. The air of India gets inside this beautiful diversified city through the Shankaracharya gate that depicts the story of a friendly relationship among the neighboring country. Hence, the love for cricket enters inside this holy land of Nepal via the same gate and gets mingled in the mind and heart of 3 hundred thousand people of Birgunj. It got just bigger and bigger and also my wish for exploration about Cricket craze in Birgunj struck back and forth. The first thing that I did to control my emotions and feel a little bit stable was I use Google Map to trace the way and measure the distance between Kirtipur Cricket Ground and Narayani Cricket Ground which is about 128km and 4hr 41 minutes marked specifically with the blue mark specifying the roadway. A difference of 4 hours 41 mins geographically yet such huge difference in the situation of how things are being grubby and grimy in the cricket ground that once hosted some significant tournaments of the national level. This made me stick to the same scrolling zone and headed my way to Wikipedia where I just explored more and more about sports basically cricket in that part of the world. Right in the sports section in the 2nd paragraph a blue color highlighted one of the few sentence for cricket as Haseem Ansari, Aarif Sheikh, Avinash Karn and Irshad Ahmed hail from Birgunj and cricket is the most popular game among the locals of the place. Still cricket is so far from the people of Birgunj that the cricket ground like Narayani Cricket Ground in the southern east corner is in the state of misery. The huge ground of 32374.9 m2 still offers a lush green outfield even being in a terrible state of being wounded. To get proper information about the current scenario of the game I switched into a reporter mode and thought of gathering genuine information from the player himself, Aarif Sheikh who provided me some insights out of this story. As I was described, the ground came into life when T.B. Shah made it playable and used it for the development of cricket back in 2002 A.D. The total land area is about 32374.9 m2 with 7 turfs in a dying condition currently. The outfield has holes like in the road of the capital city of Nepal. Due to lack of maintenance and fresh issue of compensation on the rise, the ground is left strangling and is far from a proper playing condition. The compensation issue is dragging it in more and more complicated situation and youths growing here and listening to the stories of National level cricket being played here find it like a myth of clean Bagmati River that ran across the banks of Pashupatinath temple in the past. The most responsible body of sports in Nepal, i.e. National Sports Council is being blamed by the locals and the officials regarding the matter. Parsa Sports Union believes Sports Council could have acted more wisely regarding the upgrade as well as maintenance of such a huge cricket ground that has still an ability to conduct best of the ODI matches with proper reconstruction and re-planning of the whole cricket ground. Instead of thinking of progress, a new issue has been rose in the name of compensation of land. Adding to the general conversation the official of Parsa Sports union also expressed his frustration regarding the lame act of the sports council not being able to solve such a shameful issue that is dragging cricket away from Birgunj. The land owners ruined the original state of the cricket ground using an excavator back in January 29 2013 complaining that they didn’t get any compensation that was promised from the Sports Council. Adding to that as a part of their demonstration they broke one field tall wall and used excavator over 335 meter square area which is making it worse for the locals and taking beauty away from this ground. Not only that they have also destroyed the wire net of 70 meters and 40 angled iron to worsen the situation of the beautiful place. The actual picture of the land issue came out when some of the remaining land owners were not given the proper compensation from the sports council. They fought and won the case against the sports council in the court but are still complaining of not having the road facilities in their land. 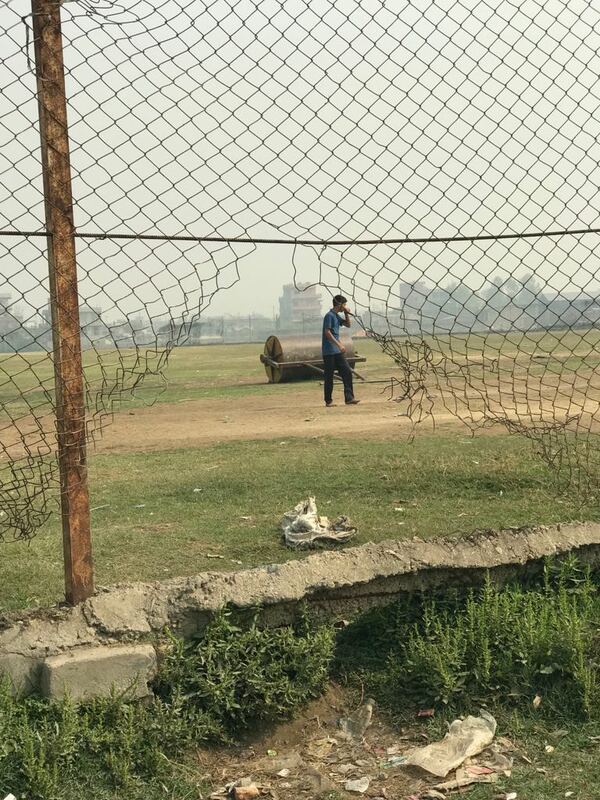 Cricket ground is losing all its color and is being dragged again and again but still the governing body is just not interested at all as it was mentioned by a young kid carrying a small piece of bamboo willow in his hand. 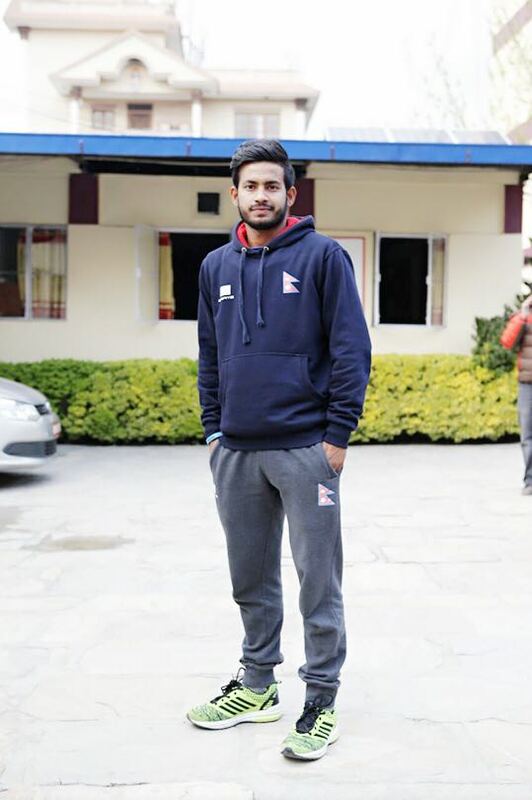 Aarif added in a telephonic conversation with such a heavy emotion carried in his voice that back in 2005 U-15 team featuring Skipper Paras Khadka , Vice captain Gyanendra Malla, Sharad Vesawkar , Chandra Saud, Paresh Lohani travelled and played games in the same ground. Similarly U-17 as well as 2 day games featuring Raju Basnet, Rom Shrestha, Raj Shrestha along with Dipendra Chaudhary and most of the players mentioned above featured in the game and enhanced some cricketing players in the ground but seeing the current state it seems unendurable that the problems would be solved soon. With the growth of such precious tweets and status tagging the richest person of Nepal as well as the dramatic foundation of national heroes nothing would come into life and the assigned 4 years period of ODI status would go in vain if our guardian, the governing body as National Sports Council as well as Cricket Association of Nepal would have a common solution of solving the issue and making it a playable cricket ground setting an example to the world and bringing thousands of tourist in the city of trade. I am back to my original state of charging the battery of my phone so that such exploration would be possible and I could be able to bring forth the picture of the love for cricket across all over the country.